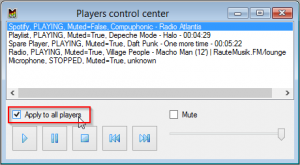 Home »Help»How to manage all players simultaneously? and check “Apply to all players” check-box. 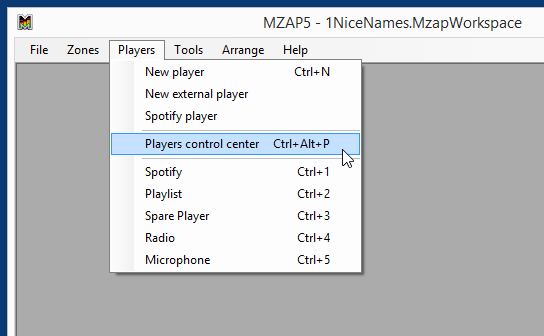 Then you can use all available on this window controls to manage all players simultaneously. 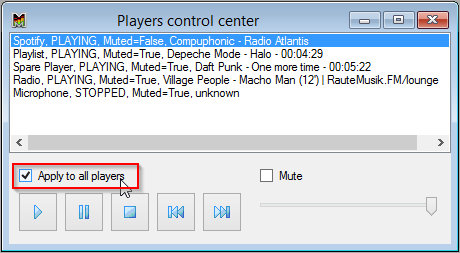 You can start, stop, pause and mute all players at the same time by one click. 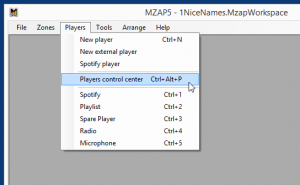 And of course you can manage all zones same way with Zones Control Center.